Cherry Pie Pull Apart features delicious bites of cherry pie that melt in your mouth! It’s a fun dessert for sharing at a party or potluck, plus you can eat it with your fingers. Ready in just 30 minutes with only 2 ingredients. Plus video tutorial! Calling all cherry lovers! 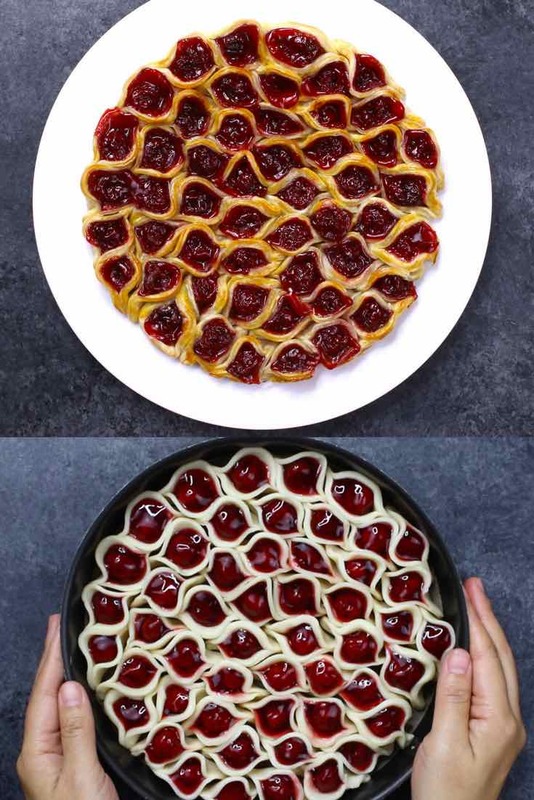 After my Cherry Clafoutis hit 180,000 re-pins on Pinterest (love, seriously), I decided to create a new cherry dessert and came up with this Cherry Pie Pull Apart. It’s a decorative pie crust made into a deconstructed dessert you can eat with your fingers! We’ve made it for parties to rave reviews, and you can even do so ahead of time with only 10 minutes to reheat. It’s been so popular, we’ve made Pumpkin Pie and Nutella Pie pull aparts if you want to experiment. But the burst of red color from the cherries is hard to beat! Pie Crust: I used two packages of refrigerated Pillsbury pie dough from the store, but you can also make your own pie crust. Round baking pan: An 8-9 inch / 20-22 cm layer pan, springform pan or pie plate will work. You may wish to have a large spatula to transfer the pie from the pan to a serving plate (or use a springform pan if you have one to avoid this step). Alternatively, you can serve it like pie using a sharp knife to cut into larger pieces. 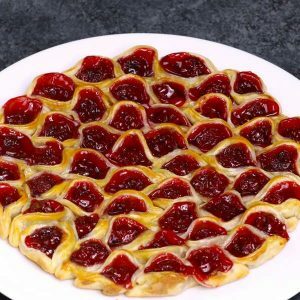 Cherry Pie Pull Apart features delicious bites of cherry pie that melt in your mouth! It's a fun dessert for sharing at a party or potluck, plus you can eat it with your fingers. Ready in just 30 minutes with only 2 ingredients. Plus video tutorial! Preheat oven to 400°F. Line an 8-9 inch round cake pan with parchment paper. On a work surface, roll out the pie dough. Using a 2-inch round cookie cutter (or similarly sized water glass), cut as many circles as possible from the dough. Repeat for second pie dough. Pick up one circle and pinch the ends together to make a boat shape. 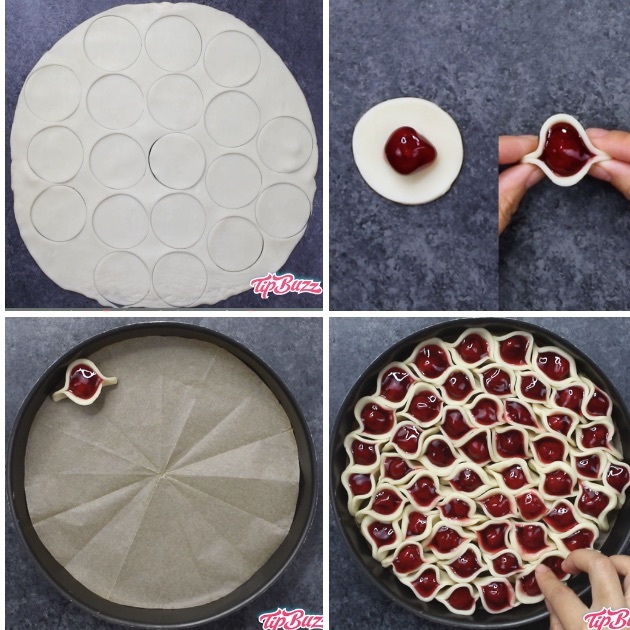 Spoon in one cherry from the pie filling, and place into the cake pan facing up. Repeat for the remaining circles until the pan is full. Brush with optional beaten egg, and then bake for 12-15 minutes until the edges turn golden. Serve in the pan, or use a spatula to get beneath the parchment and lift the pie up onto a serving plate. Enjoy! Note that baking time can vary by product - check the package directions for the baking temperature and time. Looking for more cherry desserts? Editor note: Originally published Oct 1, 2017 and updated with more details on Oct 2, 2018. 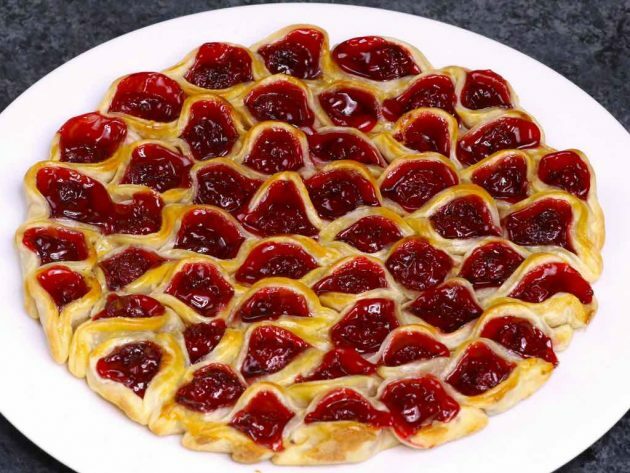 Hi, can this be made with puff pastry? Hello , you said you would make it with chocolate, how would you do that ? 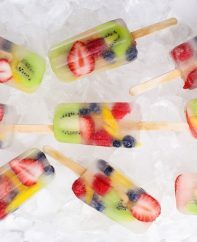 I would love to try it with lemon ! Thank you!! 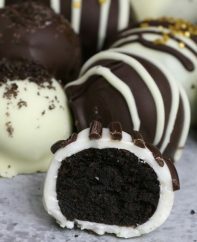 Can this be made ahead and put in the fridge until ready to bake? 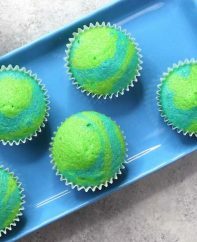 I was wondering if you tried pre-making this recipe? I thought about doing that as well. Hi, do you think I could do this with apple pie filling? I tried this with apple. The boats were more open ended and didn’t pinch easily. We cite it like a pie and it was still wonderful! Baked at 450’ for 25”. Do not know if it was the oven or fullness of the pie pan, but still delicious! Attempting cherry tomorrow. Should work if you make your own apple filling. Maybe shredding the apples would as they’d cook fast that way. Homemade apple filling is superior to the canned jelled stuff! Love this wondering if you’ve ever tried making pizza pull aparts with pasta sauce salami and cheese? Do you think you could make this and then freezer it until ready to bake, like you do when pulling a frozen pie out to bake? Any suggestions on how to do that would be great. Ur so detailed. Love it. Great idea! I added candy (cake decorating) eyes and named it Bloodshot Eye Pie for Halloween! My grandson is going to flip! I would dust with powdered sugar myself! Can i do this with like jam instead if pie filling? I saw the pumpkin pie version but do u think you could do this version but using pumpkin pie filling instead? If I made this ahead of time, how would I reheat it? Thanks! Hi Stacie, Thanks for your question – simply reheat for 10-15 minutes on low heat in the oven, i.e. about 225°F. Hi I was wondering if I was going to fill two 9 inch pie pans how much dough would I need to get? I made this and they did not pull apart. How did you get them to part? This looked so appetizing so I tried using canned pie filling and Pillsbury crust. I followed the instructions. I wonder what happeNed that it didn’t pull apart as I expected. I am anxious to try again to be served at a holiday party. Please let me know what I should do to make it a pull apart dessert. Than you….am looking forward to hearing from you. Everyone liked it. Next time I’m using a,3 in round so I can use more filling. Mine also took 50 minutes at 400. I have a thick, handmade ceramic pie dish however, so I think that might be to blame? Despite that, it was delicious and I had a bit of extra dough to make some tarts. Hi Deb, Thanks for letting me know and sorry to hear that. I tried cherry today. Not sure I’d do it again. Pillsbury pie crusts and Duncan Hines Country filling. Not done in 12 minutes at 400, didn’t pull apart and not much flavor until it started to cool. I sprinkled granulated sugar on top. Powdered would be pretty. Reading the above comments and answers, I think I squished them together too much. I did use a glass pie plate. It looked so pretty going into the oven and the parchment paper made it easy to transfer to the serving platter. Thanks for sharing your creativity. My pan is still cooking in the oven. I’ve lost count of how many minutes the pan has been in. Definitely not a 12-15 minute bake as the recipe suggests. Plan accordingly.